What is THE BEST gift you can give? After love, the best gift is to give the Gift of Health! This is Year 11 for our participation! "WOWOWOWOWOWOWOWOW.... IVE GOT GOOSEBUMPS EVERYWHERE - ALL OVER! You guys are doing amazing work over there, its totally awsome... "
Please project LIVE at the same time as the Prayer for Peace. Here are the download links for the AU (All Unconditional) Love Visual to amplify the power of the Prayer for Peace for your Earthdance event. The AU visual by itself in .MP4 720×480 zip format (1.45GB file download), to download, please click here, or to stream, watch it here. Please use WinZip or a Mac to unzip the file. The Love Activator in .MP4 640×480 zip format – AU visual plus positive image and colour visuals (774.7MB file download) to download click here or to stream watch it here. Please use WinZip or a Mac to unzip the file. 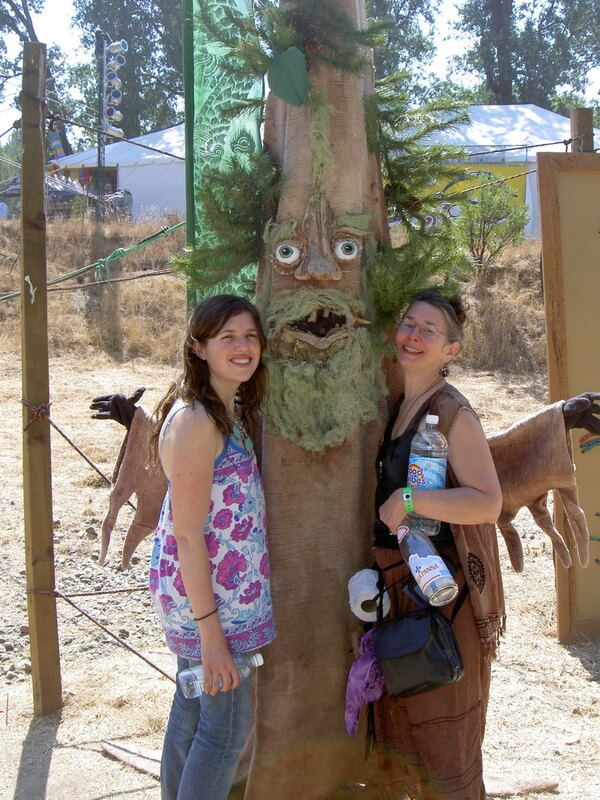 at our first EarthDance, 2007 in N. California. We were invited to crash it and join the laser team. 2018 marks the 22nd year Earthdance International has organized events throughout the world, bringing people together in a single moment of focused intention. The synchronized peace meditation takes place along with with the United Nations’ International Day of Peace. The official time for the 2018 global meditation will be September 23, 2018 at 0:00 UTC, which is the same as 1 am Sunday morning (0100 hrs.) in London, and 5 pm (1700 hrs.) Saturday afternoon in California. Countries have many different ways of determining local time – in general, the meditation will take place on Saturday, September 22 in the west, and on Sunday, September 23 in the east. More precisely: to see what time that is in your country, please click here! A bit of history and her-story in the making! 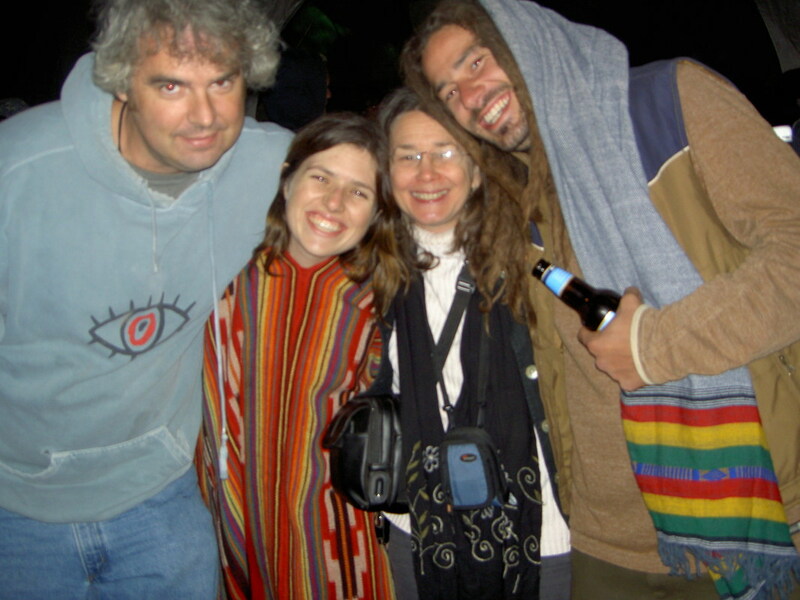 Eeshi-Ra Hart was the original voice of the Prayer for Peace, recording the Prayer in Glastonbury where the Earthdance office was located for a few years after leaving London and before settling in the States. 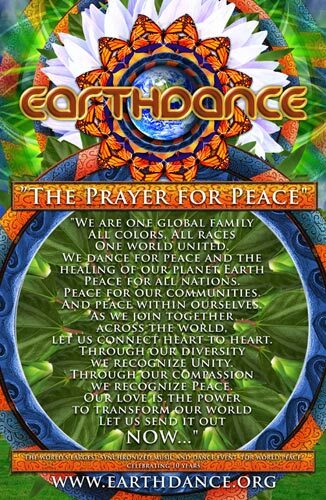 The track used for the Earthdance Prayer for Peace was taken from the Star Children song “Sacred Reunion” from the Sacred Sites CD released in 1997 through Return to the Source. The original version can be listened to here. ​ Eeshi-Ra was part of a ceremonial ritual dance group called Sushumna that was led by founder Leyolah Antara who now teaches Kundalini Dance worldwide here. The dancers would use their dance to transform and uplift the energy of all party events to ensure all partygoers had a positive and fun experience. The prayer was written mainly by Leyolah together with some inspirations from Chris Deckker. Glastonbury is believed in many spiritual circles to be the Heart Chakra for the planet, so where better to record a Prayer for Peace! The recording of the original track weaved in the sounds of the running water of the White Spring and the Chalice Well that are symbolic of the God and the Goddess and therefore a living, breathing sound of unity hence the name “Sacred Reunion”. In the first few years, it had the sounds of Tibetan chanting monks to raise awareness for the plight of Tibet under the control of China and then Earthdance widened its support for other charities globally. 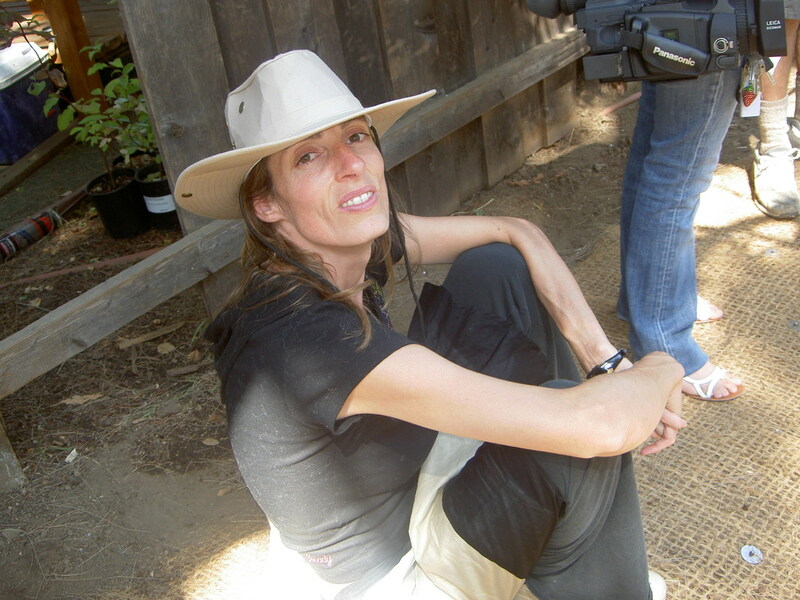 Eeshi-Ra (previously known as Ashera) was also the first International Co-ordinator for Earthdance and worked together with Chris Deckker in those formative years from London, to Glastonbury to San Francisco, till 2001 when she got on her path with sound healing. 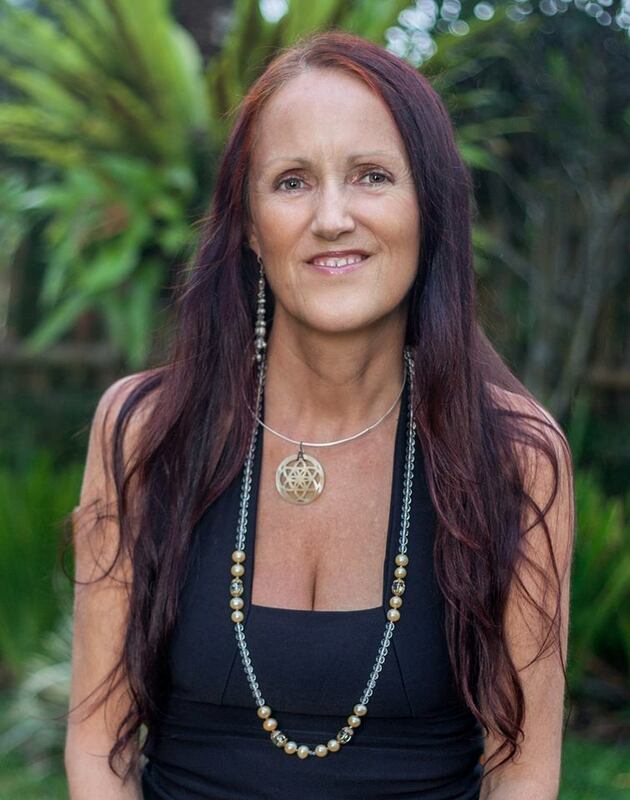 Since 2001, she has been working with the sound healing frequencies of the Zobet which help us tune more deeply with the codes of nature and the Universe, creating more balance, harmony and unity within. 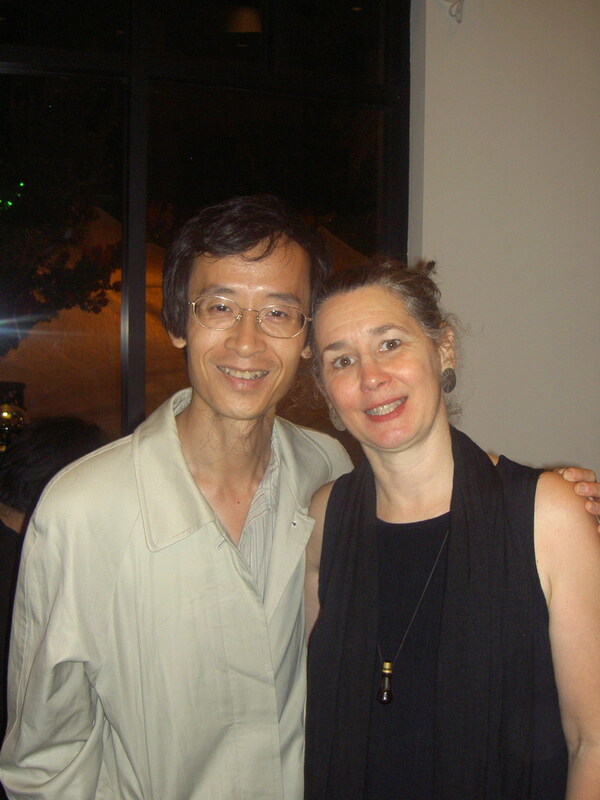 In 2002, Eeshi-Ra met Judy Lynne Cole of Healing Partnerships as they work with the Zobet frequencies and Judy has widened her research and work to include other codes through the power of lasers and other medium. The International Ringing Ceremony Co-ordinator for The Ringing of the Rivers Project, Eeshir-Ra leads London Visualization for Earth Dance 2018! Eeshi-Ra was the original vocalist for the EarthDance Prayer for Peace 22 years ago. Eeshi-Ra just happens to be in London during EarthDance 2018. Leave it to Amoriah, the London EarthDance promoter for as long as I can recall, to bring Eeshi-Ra in to lead the visualization this year. 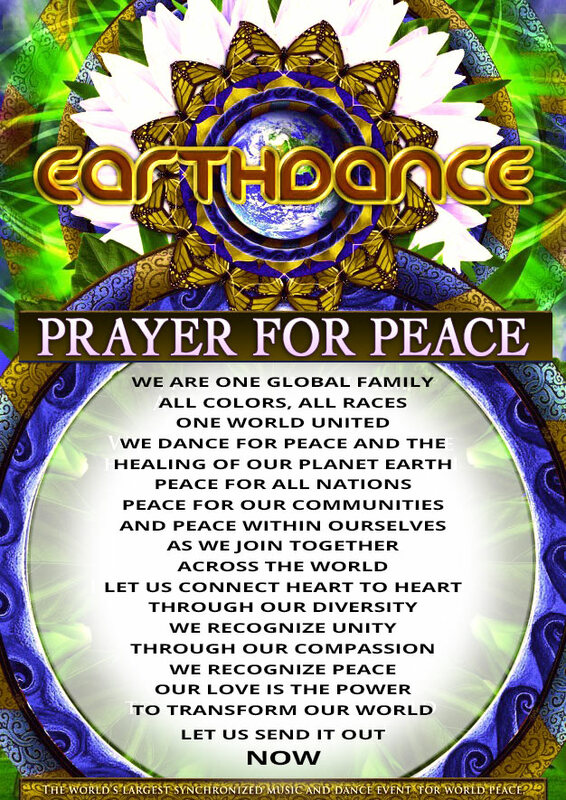 Earthdance is an event, when individuals, private gatherings and public events across the globe celebrate and activate peace through creative expression, activism and community-building – all joining in the Prayer for Peace at the same powerful moment! Impacting local change on a global scale, each official Earthdance event donates at least 50% of its profit to a local charity. 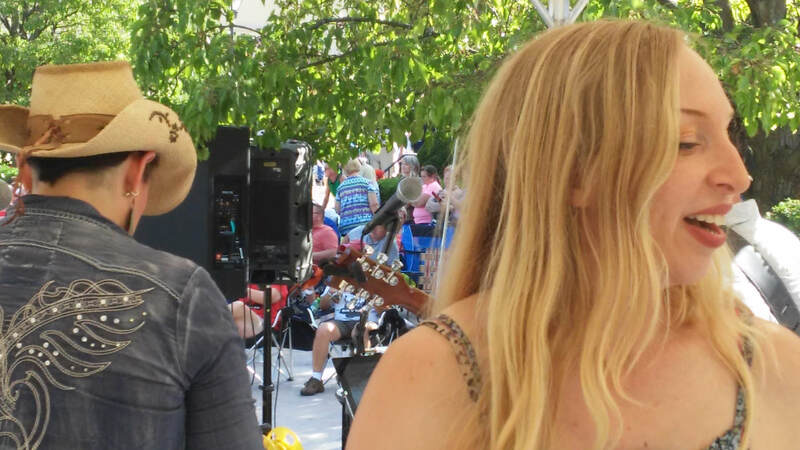 As Earthdance events continue to grow each year, more and more local organizations are gaining traction and exposure in their communities. This year, The Ringing of the Rivers Project and Healing Partnerships request that your donations go to fund the algae research at Volunteer State. 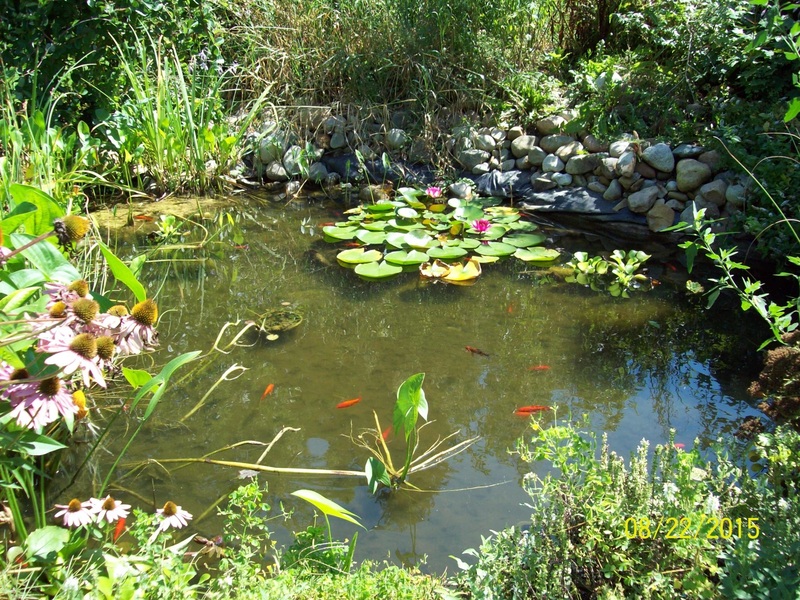 Specifically, we are in need of 20 custom engineered underwater speakers (Ed Vollmer, acoustical engineer, eight - forty gallon - fish tanks, 8 DVD players, 4 species of algae. 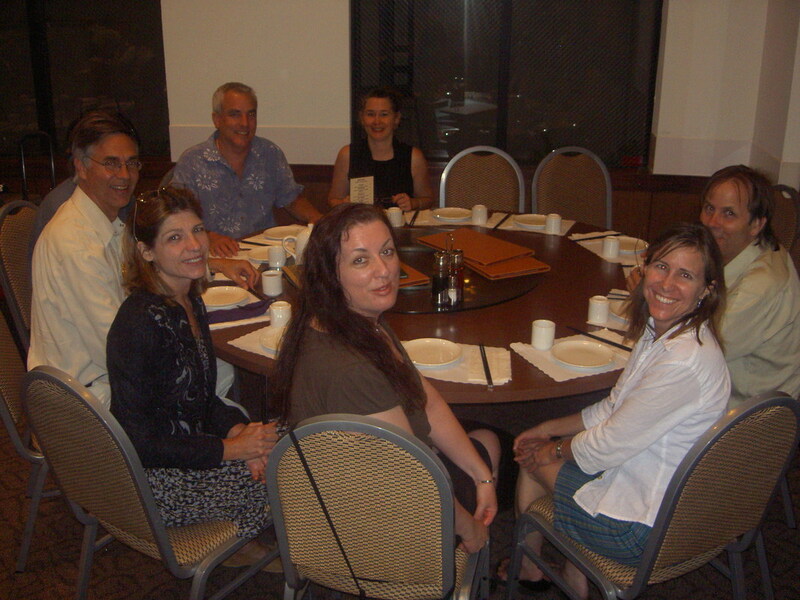 The full scholarship for the student doing the project is already funded through the generosity of Ray Harvey Houston. Geomancers, Thaumaturgists and Tachion Energy Masters UNITED! 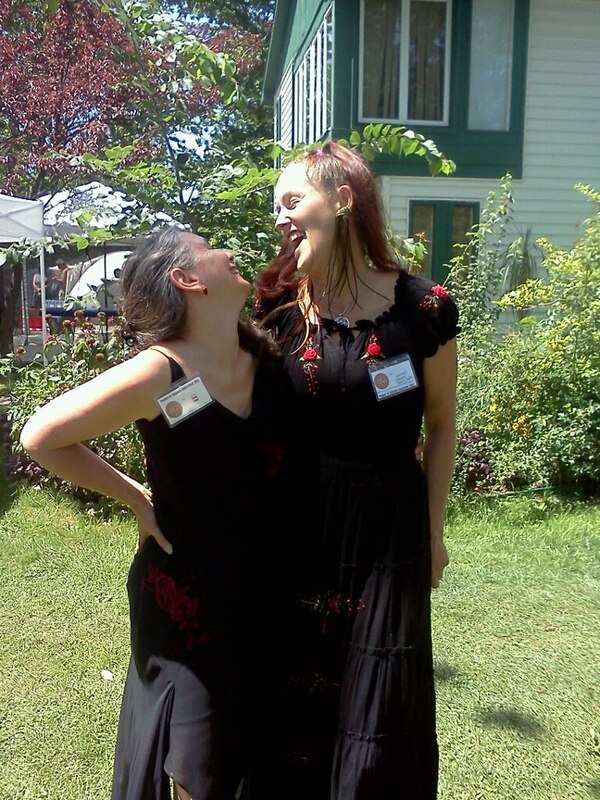 ​Oh, yeah - we had a great representation of Cherokee magic going for certain! 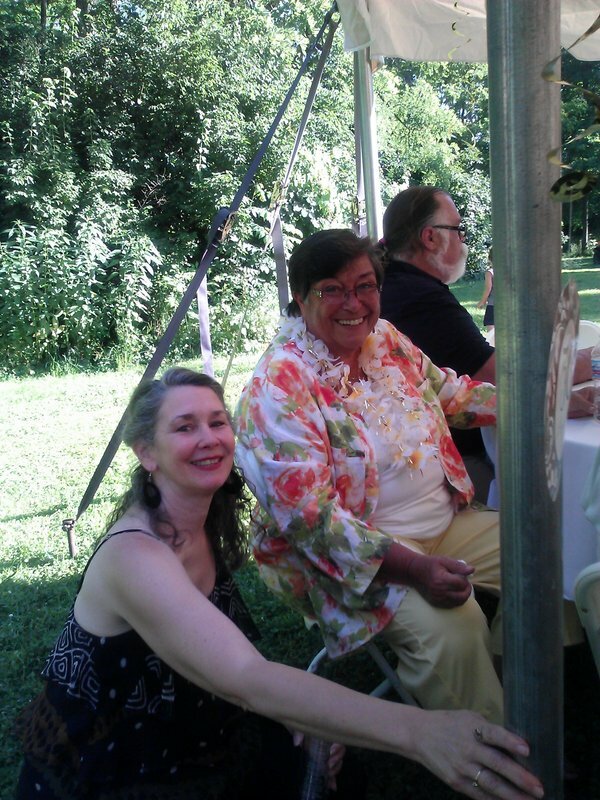 Co-project coordinators, Patricia Hendricks and Judy, partying on the property where the first ringing ceremony was held. This photo was taken at the 50th wedding anniversary celebration of Patricia and Ernie Hendricks. 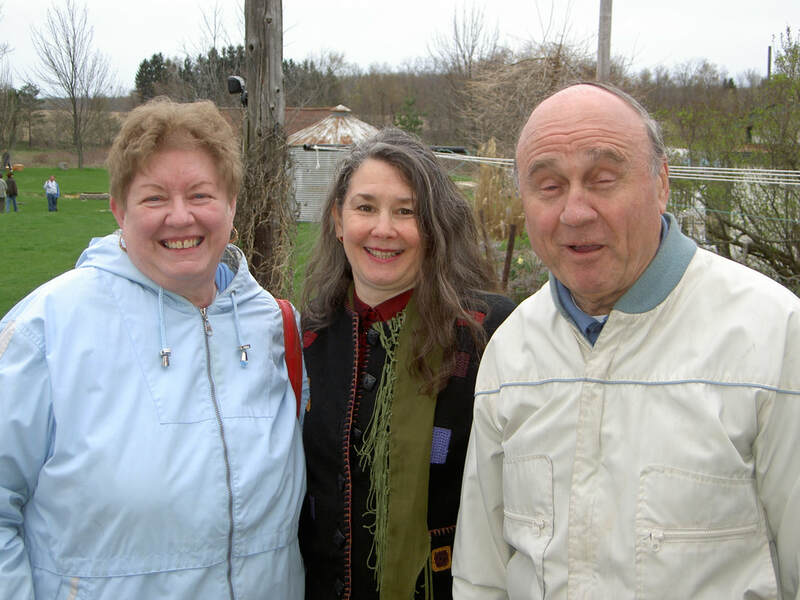 Above: Three of the founders of The Ringing of the Rivers Project: Barbara, Judy and Don. 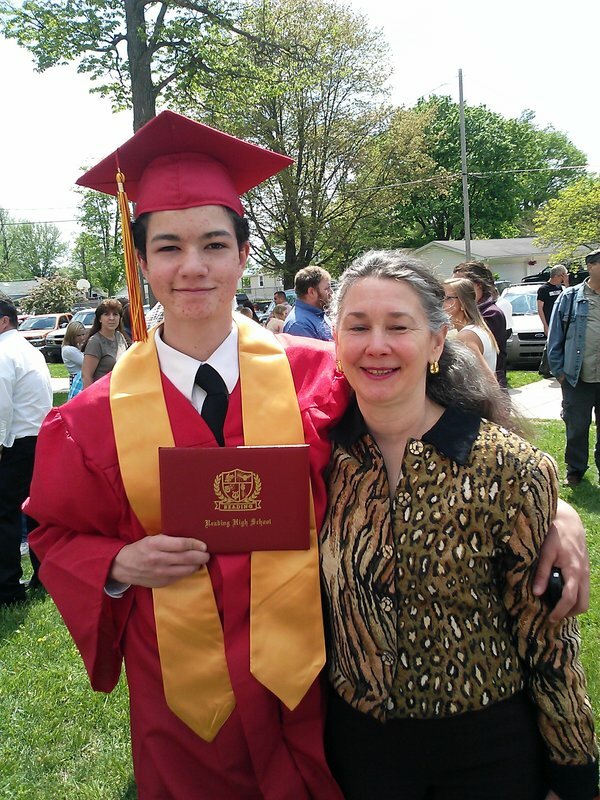 Sam and Judy on his graduation day. 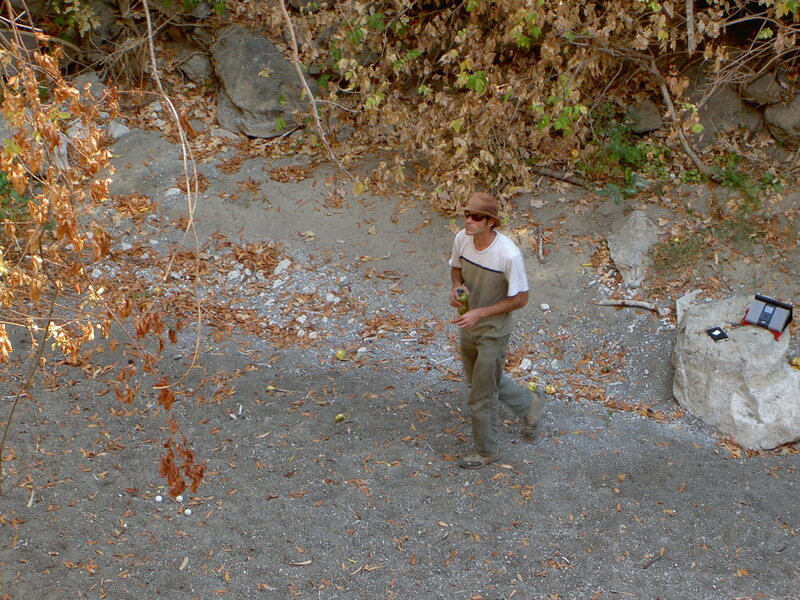 Sam is a donor to the Ringing of the Rivers Project. Talented Gwendra Turney donated the center energetics for the ringing ceremonies! David Houston explaining the importance of native grass reimplantation along the creek and how this helps to purify water. Fabienne Sarfati taking a break. 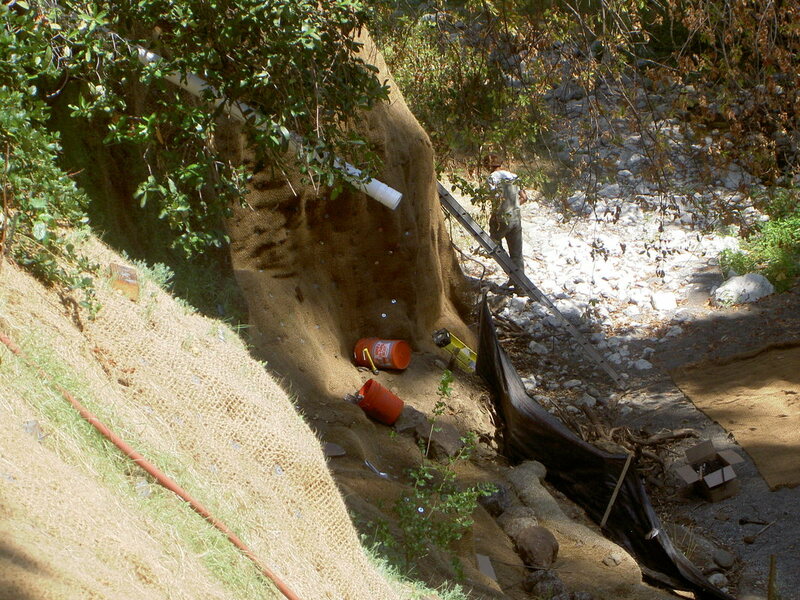 Check out the nets, this incline and what the erosion has done to the banks of this creek! To download the Prayer for Peace, go here or to get the older version with Ashera speaking the Prayer go here. 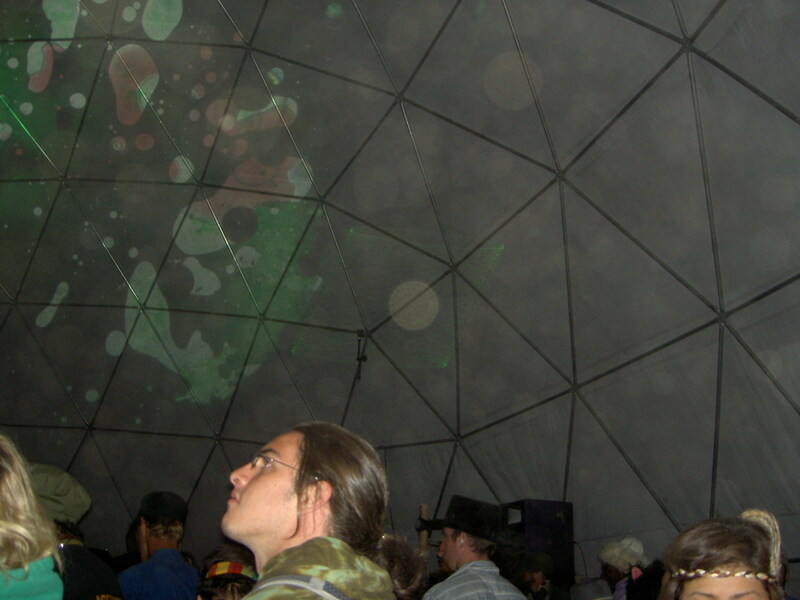 This year as with so many other years since 2007, Ashera Hart of UniPhi (UK) in collaboration with one of her US partners, Judy Cole of Healing Partnerships and Denny Ellis aka VJ Coresnfx (UK) are once again offering a video of pulsing sacred geometry and the visual is to be played at the time of the Prayer for Peace by all VJ’s (video jockeys i.e. the guy/girl who is in charge of the projected visuals) which is the global meditation that unites all dancefloors across the world. This will help us tune into our hearts and also strengthen the energy of the global meditation wherever it is played and projected. The A.U. visual that is at the heart of the Tone Zone Meditation, takes the natural mathematics of the Earth, humans, water, and the entire Universe and converts these number codes into sound. Specific sonic combinations of these mathematics are put through a scientific instrument called an oscilloscope and these sacred sound codes form a moving visual so you can see and experience this natural moving sacred geometry as shown through light. The 396Hz and 528Hz Love Vibration are also featured in this video. Watching this visual has the ability to help you remember you are a part of nature and are a divine spiritual being, and ultimately connected to everything. It’s like the red pill that Neo took! It also strengthens the potential of the Prayer for Peace when it is played at the time of the global meditation so that whatever pure intention we focus on, we truly manifest in ever more amazing ways! Our love is the power to transform our world! There is also a longer 12 minute meditation version available to download below featuring beautiful colourful peace-full imagery at the bargain price of only £1.08 (about $1.66). Please note all profits raised from this video will go to benefit Earthdance International and the sound healing projects of UniPhi with Sound and Healing Partnerships. To purchase the long version with beautiful visuals (12 minutes), please scroll down. Available in 3 different formats. (iPod/iPhone (M4V), PC (AVI) and Mac (MOV). Please join in and PARTICIPATE on Saturday, 21 September 2014 all around the world or watch online wherever you are. See the global link up map here for the growing list of 2014 participants and events. United as One we Dance!!! Please note for those sensitive to strobe light effects, it is best they do not watch the video. Please put up signs or inform your partygoers at the entrance of this. Filmed light has been used for years – thousands of people have claimed benefits. However, if you are sensitive to light or have Photo-Sensitive Epilepsy, this video is not for you to see. It is possible for filmed light to cause seizures in individuals in the same way that oscillating lights or ‘strobe’ lights can. If you, or anyone else who shares your video are using a pacemaker, suffering cardiac arrhythmia or other heart disorders, on tranquilizers or psychotropic medicines, have epilepsy or visual photo-sensitivity, this visual should be avoided. However it should also be noted that no problems have yet been recorded. Please note that anyone watching this visual does so at their own discretion and choice. This visual is copyrighted material and is only for exclusive use at the time of the Earthdance event or for your own personal viewing as desired. & support the research & practice of peaceful endeavors. Earthdance 22 – 2018 ThemeThe twenty-second anniversary theme is “Plant Peace, Plant __________“, by which Earthdance encourages event producers, artists, musicians and other participants and supporters worldwide to take a moment to consider how we interact with the cycles of nature. Next, all are invited to “fill in the blank” and share what meaning this gives to our personal and group intentions, creating new beginnings towards a better world. What we plant could be ideas, sustaining food and medicine, or new freedoms and collaborations we want to explore. We welcome all positive contributions to this year’s interactive theme! For those of us active and involved with The Ringing of the Ringing of the Rivers Project, planting is what we have done since we began. We use scent, sound, sacred geometry and intention to charge crystals for seeding in bodies of water all over the world. Plant the thoughts, peace and water are the keys. Repeat the seeding three times in nines. We have no choice but to succeed. While Eeshi-Ra is leading the visualization in London, know that David Houston, our Chief Engineer for The Ringingof the RIvers Project, launched September 9th, 2018 on a 7 month group sailing and seeding tour from San Francisco to South America and back again. 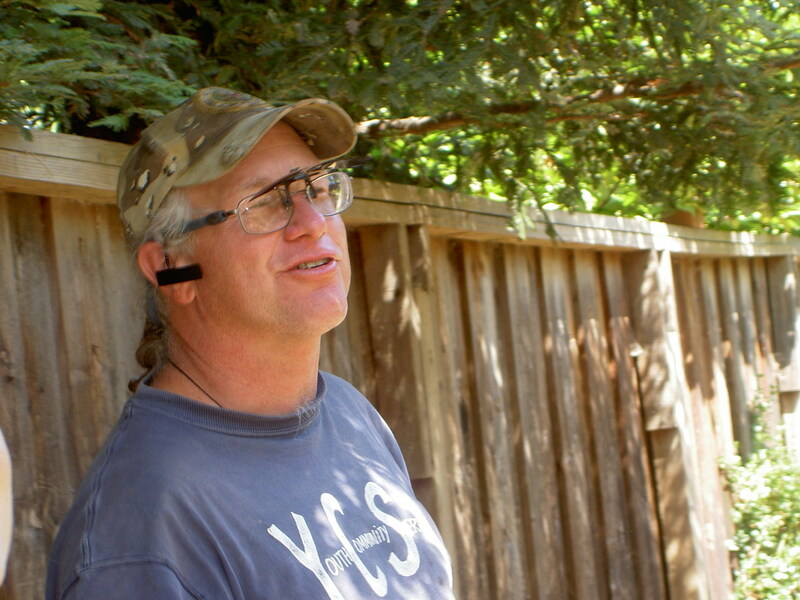 Meanwhile Ed Vollmer is working on our third prototype underwater speaker.